The U.S. Department of Transportation is issuing Federal policy for automated vehicles. Four-part policy lays the foundation for the next revolution in roadway safety. 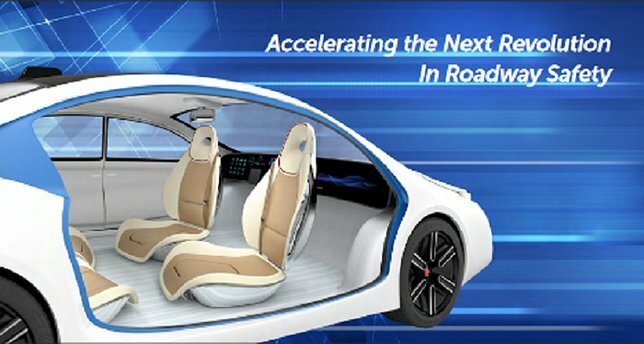 Washington, DC - September 20, 2016 - The U.S. Department of Transportation is issuing Federal policy for automated vehicles, laying a path for the safe testing and deployment of new auto technologies that have enormous potential for improving safety and mobility for Americans on the road. The Federal Automated Vehicle Policy released today is a product of significant public input and stakeholder discussions, including two open public meetings this year and an open public docket for comments. The Department is also soliciting additional public comments for the next 60 days on the policy, which is published here. Through a series of next steps and in response to public comments, DOT intends to update the policy annually. Moving beyond the traditional U.S. auto regulation approach of reactive, post-sale enforcement of safety standards, the policy is a proactive measure. A March 2016 study by DOT’s Volpe notes that current Federal Motor Vehicle Safety Standards do not directly address automated vehicle technologies. Those standards can take many years to develop and are traditionally only put into force after new technologies have made significant market penetration. Instead, the automated vehicle policy envisions greater transparency as DOT works with manufacturers to ensure that safety is appropriately addressed on the front-end of development. 15 Point Safety Assessment –The Vehicle Performance Guidance for Automated Vehicles for manufacturers, developers, and other organizations includes a 15 point “Safety Assessment” for the safe design, development, testing and deployment of automated vehicles. Model State Policy – This section presents a clear distinction between Federal and State responsibilities for regulation of highly automated vehicles, and suggests recommended policy areas for states to consider with a goal of generating a consistent national framework for the testing and deployment of highly automated vehicles. NHTSA’s Current Regulatory Tools – This discussion outlines NHTSA’s current regulatory tools that can be used to ensure the safe development of new technologies, such as interpreting current rules to allow for greater flexibility in design and providing limited exemptions to allow for testing of nontraditional vehicle designs in a more timely fashion. Modern Regulatory Tools – This discussion identifies new regulatory tools and statutory authorities that policymakers may consider in the future to aid the safe and efficient deployment of new lifesaving technologies. Simultaneously with this policy, NHTSA is releasing a final enforcement guidance bulletin clarifying how its recall authority will apply to automated vehicle technologies. In particular, it emphasizes that semi-autonomous driving systems that fail to adequately account for the possibility that a distracted or inattentive driver-occupant might fail to retake control of the vehicle in a safety-critical situation may be defined as an unreasonable risk to safety and subject to recall. The full policy and additional materials can be found here. Subject: LongIsland.com - Your Name sent you Article details of "US DOT Issues Federal Policy for Safe Testing and Deployment of Automated Vehicles"